FORE!!! The results for our Par for the Course Battle Golf Forge Contest we re-announced back in May are in! While submissions for this contest were relatively low, judging went on as planned and our results are finalized. Prizes will go out as planned, however please note our source for the prizes, Ske7ch over at 343 Industries, has gone on vacation recently and prizes will not be sent out until he returns. Now, let us bring your attention onto the winners! It's time to dust off your irons and grab a caddy; Par for the Course is back! Today, it is our pleasure to announce that we have partnered with the fine folks at 343 Industries to bring this event back into the fold. Our new partner was focused on the Ghost in the Shell Forge Contest until recently, but we hope you'll agree that the delay was well-worth it. Read up below for new details on prizes deadlines, and more! In addition to the prizes listed below, we will of course be spotlighting the winners and runner-ups and also putting them through their paces in some community playdates, so don't feel bad if you hit a bogey! Over the duration of our Par for the Course Battle Golf Forge Contest, we've been a bit concerned by low turnout. Battle Golf is an awesome, fun, and unique game mode in need of exciting new courses to be played on. However, the original course in the Action Sack playlist also set a precedent for maps making heavy use of scripting. Despite our assurance that contest entries do not require these scripted elements, this likely intimidated several would-be contestants. The prizes on offer also were admittedly rather underwhelming: we initially wanted this to be a simple contest with a short timeframe and set the prize pool accordingly. We have decided to extend the deadline for our Par for the Course Battle Golf Forge Contest by three weeks! This will place the deadline approximately a month from now, more than enough time to start a submission of your own if you haven't yet done so. We understand Battle Golf is a complex mode to forge for, especially for those of you going the extra mile to script your maps to change each round. We'd like to remind you all that this is not a requirement, but e certainly don't want to discourage entrants from doing so with an early deadline either. If you need a bit of inspiration, check out these Battle Golf courses which have already been created! 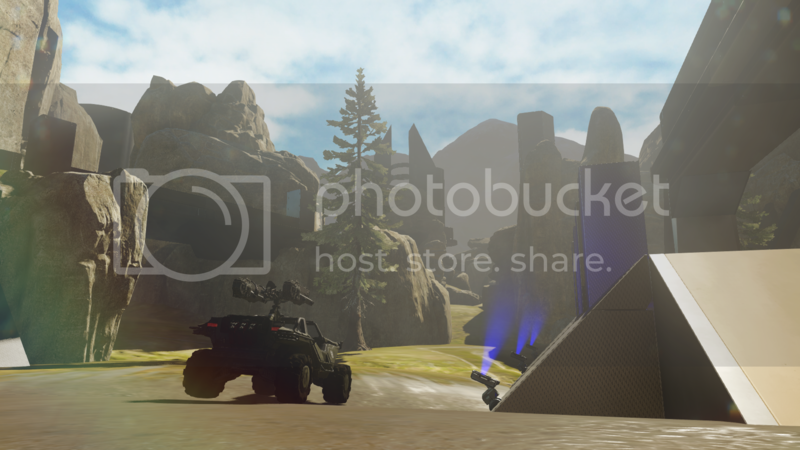 Welcome, everyone, to HaloCustoms' Par for the Course Battle Golf Forge Contest! With the release of the new Mini Game mode and forge options in the recent Monitor's Bounty update, we at HC decided the time was ripe for our first mini game-oriented contest in a very long time. Battle Golf is a new official mini game created by 343 Industries in which two teams compete to knock their golf balls into a central hole. The single course currently present in the Action Sack playlist is the home of all sorts of insane shenanigans, but it also seems a bit lonely. That's why we'd like to see each of you put your own unique spin on Battle Golf with courses of your own! Welcome back everyone! After weeks of deliberation, discussion, and rigorous testing, we are excited to finally reveal the winners of the Meet Your Maker: Big Team Battle Forge Contest! With over 50 submissions from a wide variety of forgers we had our work cut out for us in picking just three to showcase. The three winners listed below are in no particular order, and are considered to be on equal footing with one another. Without further ado, here are the top three maps! Greetings my fellow forgers and forge-ettes! With the release of a new forge canvas, new vehicles, and new forge options in general, the judging panel has decided to push the submission deadline for MYM map submissions back by 2 weeks. The new deadline will be set at 11:59 PM EST on July 31st, 2016. We hope this will give entrants some extra time to consider the new options at their disposal, as well as extra time to add polish to already complete designs. Good luck to all, we can't wait to see what you come up with! For more information about the Meet Your Maker: BTB Forge Contest, follow this link. 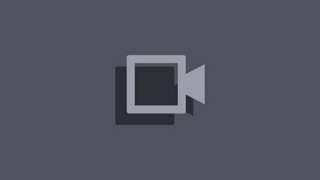 Hello ladies and gentle-forgers, and welcome to the fourth iteration of the Meet Your Maker forge contest! Halo 5 introduced an incredible new suite of game mechanics, as well as the most powerful Forge in Halo history. With most players now well versed in both the gameplay and the new systems, we felt that it was time to put your skills to the test! MYM is back and bigger than ever, with judges from 3 different websites and partnerships with many more. With today being the third anniversary of this website's relationship with the world, the number three has been a recurring theme. We'll be running a Staff vs Community game night focused on the three-base Strongholds mode soon. First, though, we'd like to announce a new mini forge contest. Great big events like the Meet Your Maker Forge Contests are good fun, but it's nice to have smaller lighthearted events like this one every now and again as well. These mini contests will tend to focus on more niche experiences and won't be taken too seriously. Srs Bzns HaloCustoms Map Design Competition Results! Once upon a time, our resident Dax hosted a competition that forced forgers to drop their controllers and design a map under strict criteria. Halo 5 forge is just over the horizon, so what better way to stimulate your creative fluids than by resurrecting such a competition. That being said, I'm happy to announce the first installment of the HaloCustoms Design Contest! You can read about the details and cool prizes below. News HallowCustoms Username Contest Results! There was a lot of debate between the judges on what would make a map worthy of first prize. Uniqueness? Best use of vehicles? Best pure CTF experience? In the end it came down to this question: Which map delivers the Squad experience at the highest level? That is to say, what map would produce the best vehicle/ infantry interaction while also delivering on great CTF gameplay? Entrenched uses natural terrain in unique ways to create a space that is both very drivable and packed with vertical overlap. The higher attacker base compared to the lower defense base creates an interesting dynamic where flag pulls are often contested over long periods of time on the way back to the base. The long, open platform at offense base serves to prevent easy captures, requiring that defense team has control of the major power positions to be able to score. Over the last few weeks, many of the community's best designers have been hard at work crafting their entries for the third installment in the Meet Your Maker contest series. For many, the idea of squad play was recently a foreign concept. That hasn't stopped some excellent maps from being created, though. A slue of unique maps have found their way into the official testing lobbies so far, ensuring that the judging will be more exciting and difficult than the judges could have predicted. Below you can see just a few of these great maps. Hello everyone, and welcome to the third iteration of the Meet Your Maker Contest! Meet Your Maker is a long running forge contest with a history of being hosted between several communities. This time around HaloCustoms will be one of the major hosts, alongside Forge Hub and The Halo Forge Epidemic. The Psycho Duck, Warholic (Admin at Forge Hub), and myself, Flying Shoe ILR, will be running the show as contest coordinators as well as judges. Greetings, HaloCustomers! 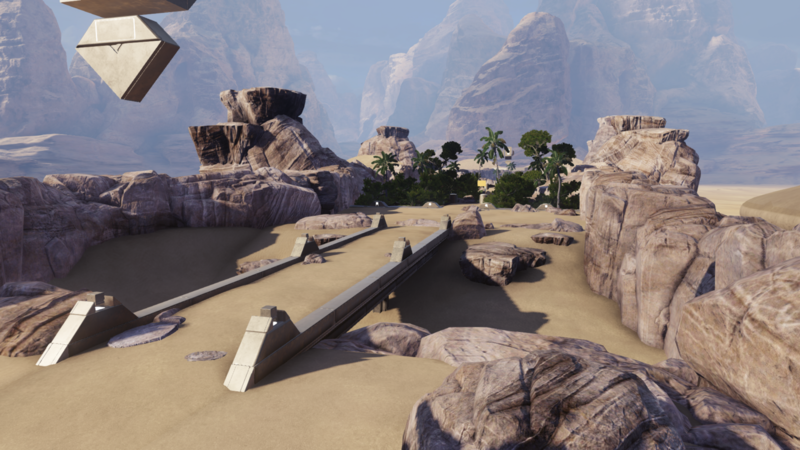 Have you been itching to create a cool forge map and get some recognition for it? If so, you have an excellent opportunity available to you! Our friends over at ForgeHub are hosting a 1v1 Forge Map Contest for maps created in Halo 2: Anniversary. You'll want to head over to the main article on ForgeHub to get all of the details, but some of the highlights have been captured below for your convenience. Maps must be original designs, not remakes, reimaginations, etc. So after some careful consideration, 3 festively coloured fruits, one a Flying red Stocking of some sort, another that was a greenish type of orange who's name makes it sound like they enjoy math and of course a potato that enjoys nomming on some snacks, made their choice on who this years winners would be. We didn't have many submissions this year but this didn't stop the talent from shining through and after some careful consideration we decided on who's submissions stood out from the rest but before I reveal our winners, first some words from the judges. News The end of Hallows' Eve! October was a colorful month here on HaloCustoms, but as we've reached the end of Hallows' Eve, we have once again become engrossed in a plethora of blue. Remember the two Halloween contests that were held this year? You were supposed to vote for your favorite submissions by liking their posts, but as some of you know, the like button vanished making that... difficult. Well, I can explain. Our lovely friend the like button decided to dress as a ghost for Halloween... or something! With that having been said, we took it upon ourselves to choose the spookiest submission instead!